Note: Using a roller makes the exercise easier. I was just playing here. Please feel free to do it on the ground, keeping your FEET grounded the entire time (no cheating ). 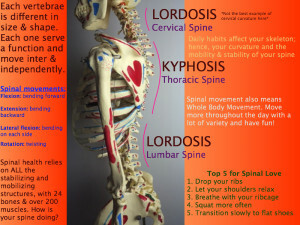 The idea is to flex your entire spine and move slowly, vertebrae by vertebrae, down the roller without any “bumps”, “plops” or “flops” along the way. It is trying to sense each individual vertebrae getting as much articulation as possible. When you are down fully; then, you do the exact reverse. Gently, slowly come back up one vertebrae at a time. Do you feel any sticky spots, any weaknesses, lack of mobility or strength? Is it easy or hard? It ought to be a natural and simple movement. I, clearly, need more work within mobility and stability. 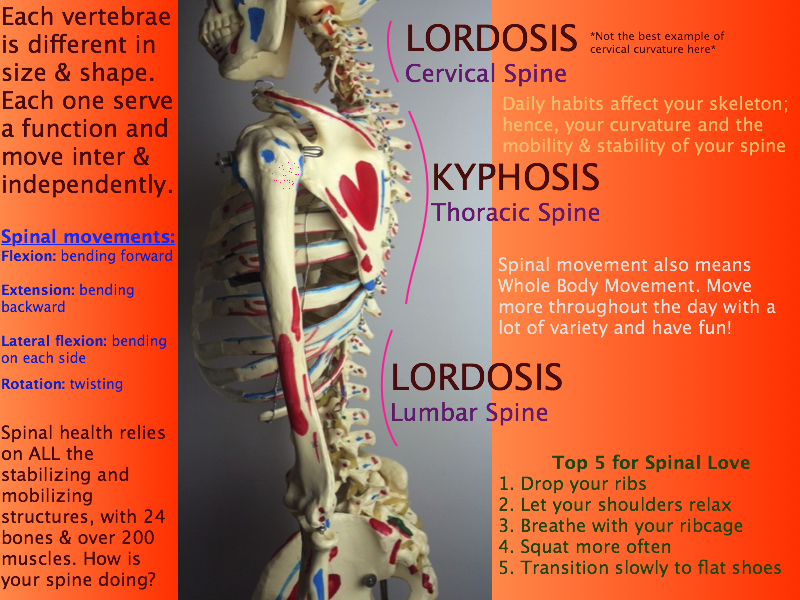 **There are an incredible amount of exercises you can do for your spine. I am just showing you one example.